This display at the Tampa History Museum helped bring attention to an important piece of Tampa history and culture. 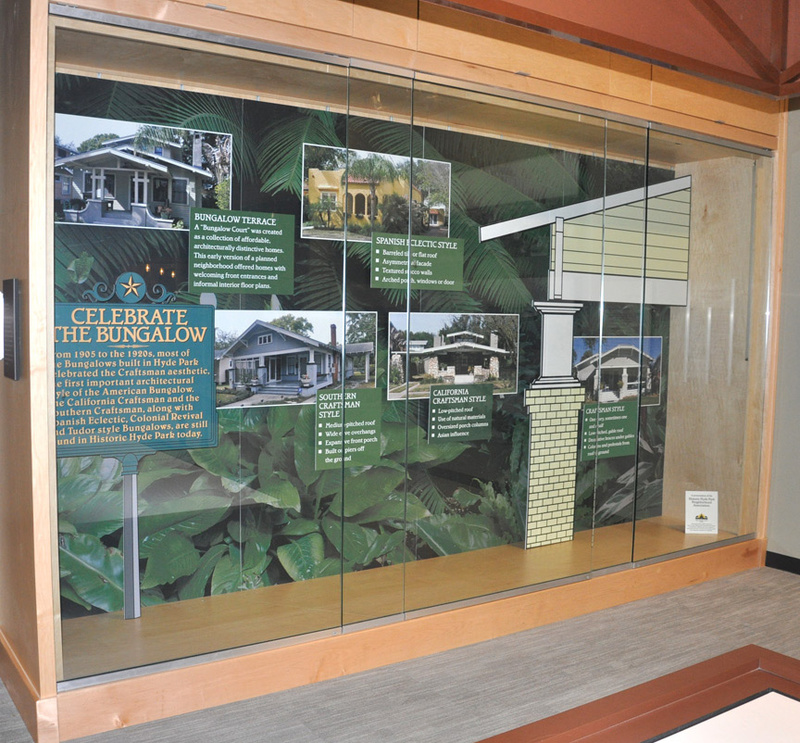 In conjunction with the premier of a documentary film, Celebrate The Bungalow, the display presented the various styles of bungalows from the early part of the 20th century. 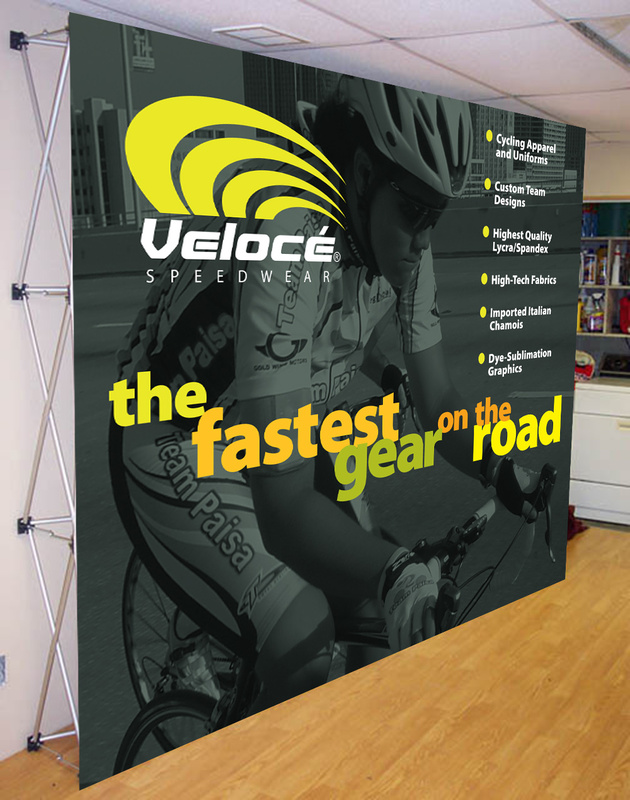 A manufacturer of custom cycling apparel, Velocé Speedwear was attending the InterBike show in Las Vegas. They needed a quick, easy-to-assemble display. 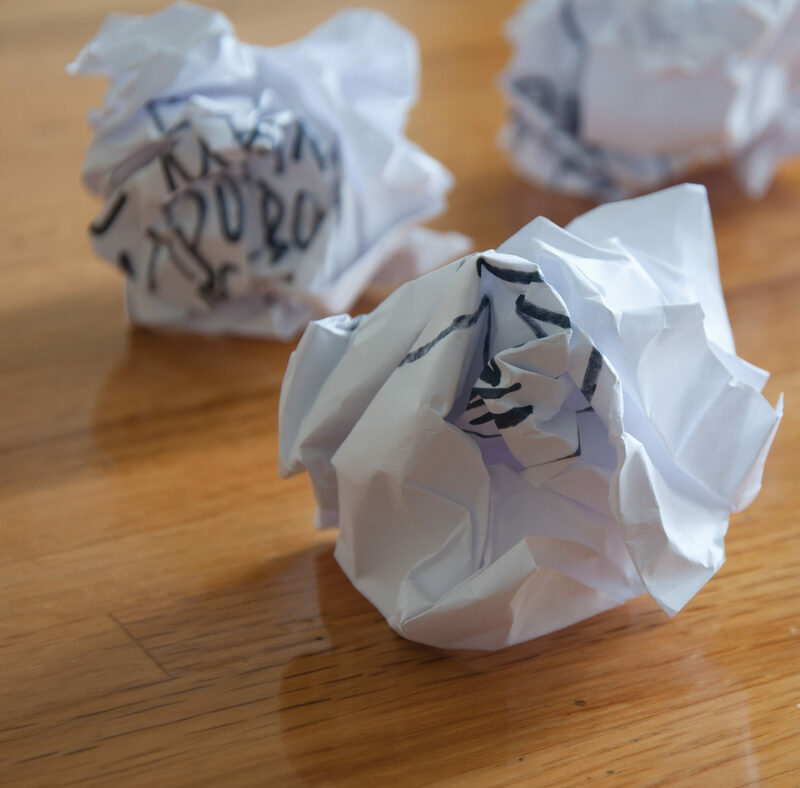 This pop-up folded down to a manageable size and still have great impact. This wall display circled the Clearwater charity's brand new dining hall. Covering the entire history of HEP in archive photos, documents, and text.